Rocket Lab and RUAG Space have signed a Memorandum of Understanding (MOU) creating a new agreement in the small launcher market in support of flying RUAG separation systems on the Electron Launch Vehicle. 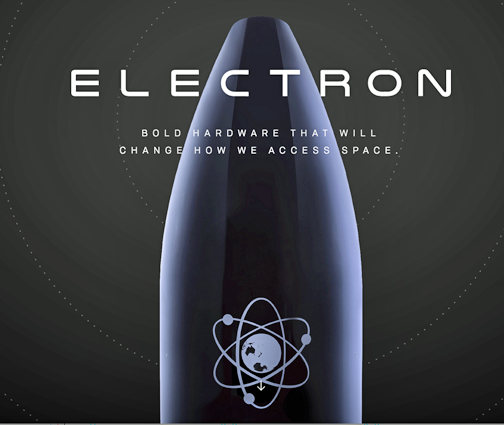 Rocket Lab, the developer of the world’s first fully carbon composite orbital launch vehicle, Electron, powered by 3D printed, electric pump-fed engines, selected RUAG Space as the company's preferred supplier to provide a 15-inch smallsat separation system for future missions of its Electron Small Launch Vehicles (SLV). These adapters connect satellites and rockets during the launch and ensure a smooth separation in orbit. The new partnership was announced at the 2018 SmallSat Conference in Logan, Utah with representatives from the companies. Company representatives from Rocket Lab and RUAG Space celebrated their new preferred partnership agreement at the 2018 SmallSat Conference in Logan, Utah. Rocket Lab selected RUAG Space as its preferred partner to supply the separation system for future missions of its Electron Small Launch Vehicles (SLV). 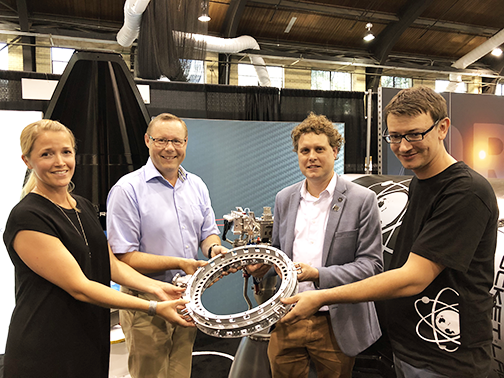 Pictured, from left to right: Anna Berglund-Almén, RUAG Space Business Manager; Magnus Engström, RUAG Space Manager Mechanical Marketing and Sales; Rocket Lab CEO Peter Beck; Rocket Lab Mission Management and Integration Director Daniel Gillies. As the leading supplier of products for the space industry in Europe and the United States, RUAG Space develops payload adapters and separation systems used on many institutional and commercial launch vehicles. With a 100 percent success rate to date, RUAG’s separation system will securely attach a Rocket Lab’s customer spacecraft to Electron during its journey to space and deliver it safely to orbit with precision. RUAG Space has been expanding its business in the small payload adapter and separation systems market in recent years and this partnership seeks to extend that impact in the small launcher market. Peter Beck, the CEO of Rocket Lab, said that RUAG Space has an impressive record of mission success with their innovative separation systems and the company looks forward to working with them to streamline another aspect of launch for small satellites. Peter Guggenbach, the CEO of RUAG Space, noted that this agreement is important market news as the copmany continues to grow and position itself in the small launcher market. 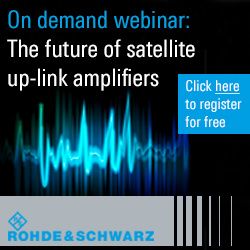 This market segment is on the rise, and with RUAG Space's flexible product range, the company wants to enable the most successful missions. Mike Morningstar, the President of RUAG Space USA, added that the company has more than 650 successful on orbit separations and has a product range that meets the needs of all launchers — big and small. The company is powered by innovation and inspired by relationships that the firm forges with valued partners such as Rocket Lab.